Caregivers have a front-row seat to suffering. Helping someone (most likely a close loved one) through disease, pain, frailty, and death exacts a tremendous toll. In the midst of caregiving, we often feel inadequate, fatigued, and overwhelmed with despair. The thought of reaching out for help does not occur to many caregivers, but we cannot go it alone-we need to find ways to connect with others. Self-care is also critical to our mental and physical health. 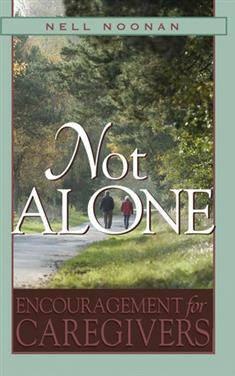 Nell Noonan offers 150 honest and authentic devotions from her own experience. Think of these readings as God's embrace. They will encourage you and give you the strength to make it through another day. Understanding caregiving as a spiritual pilgrimage is important in caring for ourselves. "God is with us in the tears and the laughter, the brokenness and the holiness, the exhaustion and the whispers of resurrection," Noonan writes. When you pause daily to listen to your life, you will discover that God is there, and you are not alone.